After seeing the three tiered skirt that I'd made for myself, she asked if I could make one for her. I used the good old Simplicity 4206 pattern. Three tiers in different pink colored vintage floral sheeting. I made a size 6 for her. I'm not sure that she's actually a size 6 yet, but I knew that I wanted the skirt to be a little longer. I've used this Simplicity 4206 pattern to make a top, pajama shorts, have lengthened the top into a dress & now the tiered skirt. This is really pretty. 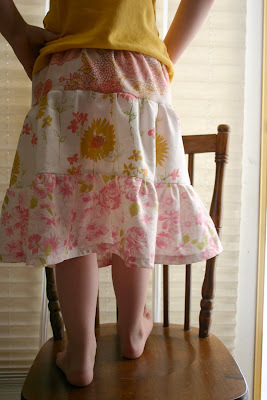 I keep seeing these tiered skirts around on different sites and I really need to get busy and make one for my daughter. So nice and summery!! You've got me wanting to attempt this! Looks easy enough?? Thanks! So sweet! 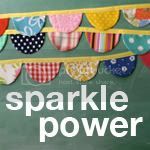 I was just posting about getting my kid sewing mojo back. Thanks for further inspiration! 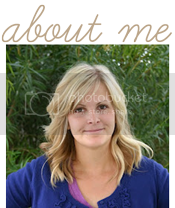 oh goodness...i love that one too! i'd love a big girl version of that one. This is probably the most-used sewing pattern in my basket for the past year. I've made my daughter several peasant tops, lengthened the pattern to make five dresses, and am about to make her a pair of shorts. Definitely 99 cents well spent last summer! 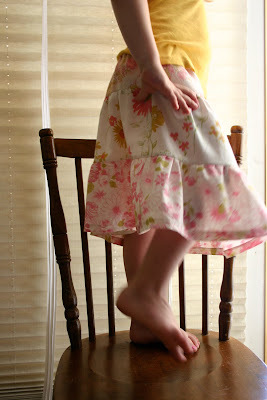 my mom's used this pattern for my girl - she outgrew her tiered skirt this year... time for a new one! they're so easy and cute for summer. I always love your fabric choices. What a perfect skirt for Sadie! 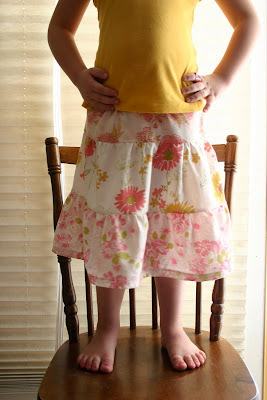 I may make this little skirt for my 2 smaller grand daughters. Great way to use up some material pieces I have.